I have always admired Willie Nelson for so many reasons. At age 82, he’s the author of many wonderful, iconic, unforgettable songs. He’s a great musician with a charitable spirit and eclectic tastes. And he has that quirky, expressive, unmistakable singing voice that manages to transcend so many genres. Aside from being the legendary musician he is, Willie Nelson is also an actor, an author, an activist, and the father to seven grown children. He manages to do all of this while enjoying copious amounts of marijuana. I didn’t always realize how awesome Willie Nelson is. I grew up in the 70s and 80s, when Willie was pretty popular. He was a country star, though, and back then it wasn’t cool to enjoy country music. I still admit to secretly loving “On The Road Again”, “Mamas Don’t Let Your Babies Grow Up To Be Cowboys”, and “My Heroes Have Always Been Cowboys”. I was a horse crazy kid and a fan of the 1979 film The Electric Horseman, which starred Robert Redford and Jane Fonda, as well as Willie and a beautiful bay stallion dubbed Rising Star in the film. But that was pretty much the extent of my knowledge of Willie, aside from hearing “Always On My Mind” on the radio all the time. Now that I’m older and a bit of a musician myself, I really appreciate Willie Nelson for so many reasons. That’s why I decided to read his recently published memoirs, It’s A Long Story: My Life (2015). This is not the first book about Willie Nelson’s life, but it is the most recently written. 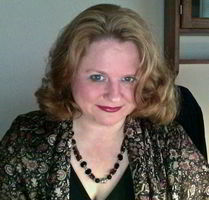 Nelson composed it with ghost writer, David Ritz. 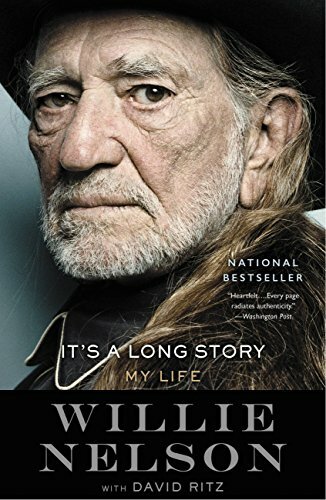 I just finished reading last night and am left feeling a bit awestruck at Willie’s life and all he’s managed to do with it, despite being an “outlaw” of sorts. Willie Nelson grew up in Abbott, Texas, which is a small town in Central Texas. He and his sister, Bobbie, were raised by their paternal grandparents. Their parents, Ira and Myrle Marie Nelson did not stay together and had personal problems that precluded their ability to raise their children together. Willie’s grandparents were more stable people who had a love of God. They encouraged Willie and Bobbie, both of whom were musically talented. I don’t know much about Bobbie Nelson, but Willie claims that she’s the “real” musician in their family and has some serious piano chops. At age ten, Willie Nelson joined his first band, having written his first song when he was just seven. Although he tried to be a regular guy doing regular work, including a brief stint at Baylor University and in the Air Force, he was never able to stay employed for long. The one thing he could do besides music was sell things, but his heart wasn’t into selling vacuum cleaners or encyclopedias. He was born to be a musician and by sheer force of will, he made it happen. It’s A Long Story is mostly about how Willie Nelson ended up where he is, a man as famed for his rough looks and 4th of July picnics as he is for writing beautiful songs like “Crazy” and “Hello Walls”. He explains how the music business was back in the 1950s and laments that in some ways, it hasn’t really changed that much. Artists and writers still have trouble getting paid for their work after corporations take their cut. Royalties aren’t what they used to be, either. Willie Nelson plays at Farm Aid in 1986, a cause very near and dear to his heart. Nelson writes about the women he’s shared his life with, including the four who married him. I got the sense that none of his splits were nasty. He still has contact with the six surviving kids he had with the women in his life. He’s always kind of comes across as a very loving, proud, and devoted father, while still admitting that his lifestyle made it hard for him to be the best dad he could be. The writing style in this book is very conversational and reads just like I would expect Willie Nelson to talk if we were sitting across from each other. I imagine that if I did hang out with Willie, I might end up with a contact high. He really loves his weed and makes it clear to readers why he thinks it should be legalized. For the record, I agree with him. Marijuana is a much less destructive substance that alcohol or tobacco. Willie writes about some brushes he’s had with the law over marijuana, as well as his infamous tax problems with the IRS back in the early 1990s. Nelson had very serious financial problems, but came up with a brilliant way to solve them. Willie Nelson’s “Who’ll Buy My Memories”, from the IRS Tapes, an album he released to help pay his tax bill. I still remember the TV ads for this. This particular song shows off Nelson’s vocals and the beautifully unique way he plays guitar. It was such a pleasure to read Willie Nelson’s life story. I found it inspiring and interesting and at the end, I was marveling at how much of a national treasure a kid from small town Abbott, Texas turned out to be. He comes across as very normal, down to earth, and funny, except for the fact that he has music in his blood. There are always melodies and lyrics flooding his conscience. He is compelled to be a musician, but he’s good enough to share his experiences with the world. Willie Nelson is a very plain spoken guy who uses raw language at times. Personally, I liked that about his book. It made it seem very authentic and real. I completely overlooked the fact that a ghost writer was involved with the writing of this book; it really felt like Willie’s voice telling Willie’s story. When I was finished reading, I felt sad for not having made it to any of his shows thus far. Since he’s 82, I need to get on the stick. Whew… writing this review makes me want to listen to Willie’s music and maybe make some of my own. What an awesome read It’s A Long Story is! I highly recommend it.